Marriage is the uniting of one man and one woman in covenant commitment for a lifetime. The husband and wife are of equal worth before God, since both are created in God’s image. 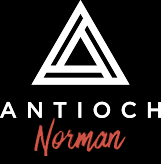 Its actively enforced policy is not on its website's primary pages, but rather on its network website, Antioch Ministries International. While the website does state the church's partnership, it does not directly link to its network's policy documents on human sexuality. Leadership Although women hold title of "pastor" in this church, the ratio of men to women is not 50:50 in this church's senior leadership team based on this website.